In current year’s budget, it was declared that current retirement (Investor Retirement (Subclass 405) and Retirement (Subclass 410)) visa holders would be qualified to apply for a PR visa shortly prior to the temporary retirement visas were closed to any new candidate from 1 Jul 2018. Certainly, the laws for the guaranteed pathway of permanent visa have been issued with a commencement date fixed for 17 Nov 2018. For 2887 (as of 30 Apr 2018) or so visa holders of retirement, only those who continued a retirement visa on 8 May 2018 and who have not taken different substantive visa other than a retirement visa will be qualified to apply. 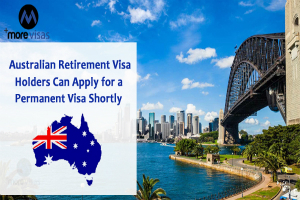 It leaves out after 8 May 2018 visa holders of retirement, who will be limited to applying for more subclass 410 visas. The new laws will continue retirement visas to the visas list that an individual who lives in Australia, does not contain a substantive visa, and whose visa has been canceled or whose appeal for a further visa has been denied. This is critical because it will give for any rejected permanent visa candidates an ability to get further temporary retirement visa. It means, despite, that from 18 Nov 2018, only those who continue or whose last substantive visa was a subclass 410 visa will be able to appeal for another subclass 410 visa. It is to stop a possible loophole that could have enabled continual annoying applications by any candidate to pause their departure. Moreover, claimed spouses or de facto partners of who hold subclass 410 visa would not be permitted to appeal from this date except they too continued a subclass 410 visa. The consequence of this reform is assumed to be minimal.